Proposed business tax intended to stabilize funding for pre-K to 12th grade schools statewide. Oregon would enact a new tax on businesses and raise more than $1 billion annually for public schools under a legislative proposal released Thursday, April 4, after more than a year in development. Three leaders of the Joint Committee on Student Success briefed reporters on a House bill aimed at prioritizing early childhood education, student mental health and district initiatives to improve graduation rates and other priorities. 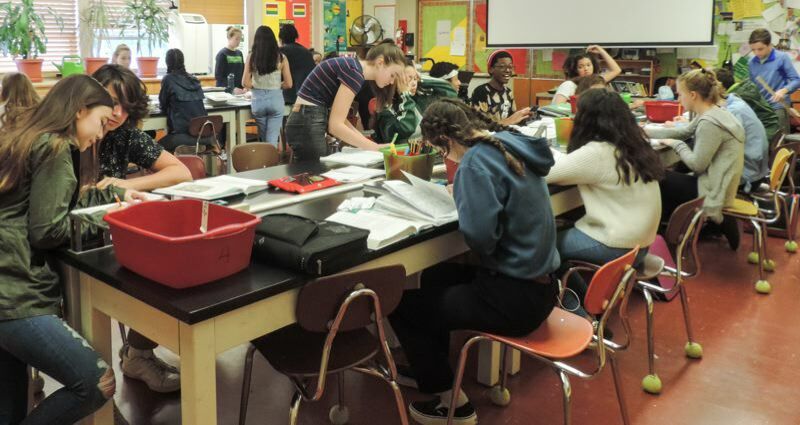 Committee members visited 77 schools, hearing from teachers, administrators and students, to identify the highest priorities in funding schools. They said they're focusing the billion-dollar investment on a few problems they heard discussed everywhere they went. • $400 million per two-year budget cycle on early childhood priorities, including full funding for Early Childhood Special Education. • $600 million per biennium on "statewide investments," such as drop-out prevention and supports for students with disabilities. • $1 billion per biennium for a "school improvement" fund, described as "noncompetitive grants" toward specific goals, such as smaller class sizes, a longer school year and additional health professionals in schools.